Highly desireable neighborhood tucked away from the city with breathtaking views of the Pacific Ocean. Pacific Palisades is a coastal neighborhood in the Westside of Los Angeles, bordered by Brentwood to the east, Malibu and Topanga to the west, and Santa Monica to the South. 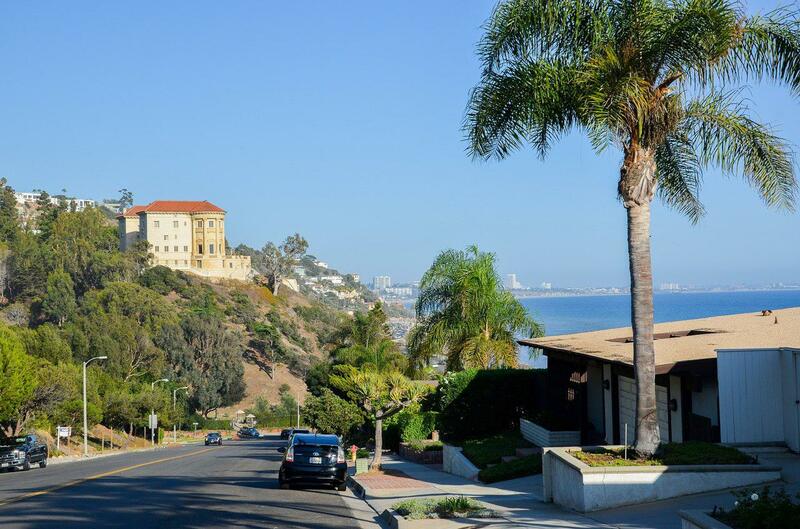 Pacific Palisades features properties tucked away from the city with breathtaking views of the Pacific Ocean. Pacific Palisades is a highly desirable area among celebrities as it encompasses many areas such as the Highlands, the Bluffs, and Castellammare, located along PCH. Pacific Palisades also features the high-end Riviera Country Club. Pacific Palisades attracts many to Will Rogers State Beach, stretching along Pacific Coast Highway. The Palisades village has numerous restaurants, cafés, yoga studios, and clothing boutiques. Take a hike at the famous Temescal Gateway Park which leads you to a picturesque waterfall or Will Rogers State Historic Park which takes you to views overlooking the ocean. Pacific Palisades is home to very high-ranked schools such as: Marquez Avenue Elementary, Palisades Charter Elementary, and Palisades Charter High school (highly regarded for its academics and extra-curricular activities).